Using money from selling his 4-H steers, Dr. Bill Hildebolt paid for his first two undergraduate years at The Ohio State University. “It would take a whole herd of cattle in order to pay for college now,” said Hildebolt, an alum and friend of Ohio State and the College of Food, Agricultural, and Environmental Sciences. A teaching assistant position paid $125 per month, but also covered his senior-year tuition and all of graduate school, he recalls. His wife, Sandi, was working as well. A scholarship from the Ohio Canners Association provided the junior-year tuition. Hildebolt graduated debt-free. Remembering that assistance has motivated many college gifts, including those that established The Hazen and Anna Jane Hildebolt Preble County Scholarship (Fund #603185), The William and Sandra Hildebolt Food Science and Technology Hall of Distinction Endowment Fund (#643184) and Show Me the Data! (#315252), which benefits the CFAES student-run speaker series called Citation Needed. The giving has already come full circle. An undergraduate recipient of the scholarship, Tracy Kitchel, is now chair of the Department of Agricultural Communication, Education and Leadership. "The Hazen and Anna Jane Hildebolt Scholarship was one of the first scholarships I earned. It was even more special because its roots were based where I grew up in Preble County," Kitchel said. "Because of the generosity of Bill Hildebolt, I was able to build a solid foundation and take full advantage of the opportunities presented to me as an undergraduate at Ohio State. "From that foundation, I established a successful career that allowed me to return as professor and chair of the department where it all began for me. That full circle now extends even further with Bill Hildebolt as he provides generous funding for the student organization Citation Needed," Kitchel (left) said. Hildebolt was the oldest of three children growing up in Preble County, Ohio, on the family farm -- a farm that has been in continuous operation for 200 years, growing corn, soybeans and wheat, and raising fat cattle, he said. He entered college majoring in pre-dentistry, but decided to switch when he realized he didn’t want to be a dentist. A fraternity brother who was majoring in horticulture suggested he talk with Dr. Wilbur A. Gould, who pioneered processing and quality of Ohio’s main horticultural products and later served as acting director of the Food Industries Center. After earning his BS specializing in food technology and his MS and PhD in horticulture, Hildebolt began an illustrious career. Working for the Campbell Soup Company, he rose to vice president of research and development. 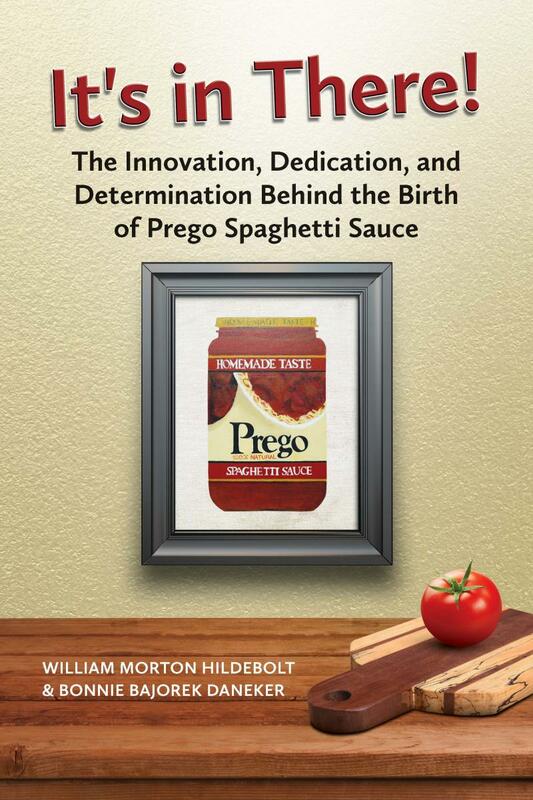 He was credited with roughly 20 patents and led the development of Prego spaghetti sauce. He also spent six years as vice president of research and development for R.J. Reynolds Tobacco Company. Now making his home in Winston-Salem, N.C., Hildebolt is founder and owner of Nature’s Select Premium Turf Services, Inc., a biologically-based lawn-care business. The techniques are based on agricultural practices gleaned from his experience on the family farm and composting research at Ohio State with advice from Dr. Harry Hoytink, a retired plant pathology professor, Hildebolt said. 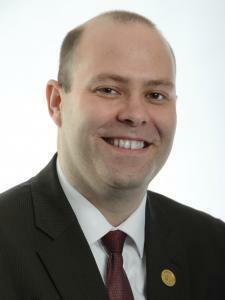 “We were one of the pioneers in that area 20 years ago. Now people are finally realizing the full potential of biology-based programs,” he said. Hildebolt also gives back to the college by serving as an ex officio board member on Citation Needed. The series is run by students from the departments of Food Science and Technology and Agricultural Communications, Education, and Leadership with the mission of countering misinformation through science. The students have held numerous sessions since November 2015. Hildebolt’s generosity and involvement have allowed the students to find interesting speakers and pay the travel expenses of nationally-known experts, said board member John C. Frelka (right), a post-doctoral researcher specializing in food engineering who was a graduate student when the club was founded. Hildebolt was inducted into the college’s Food Science and Technology Hall of Distinction in 2014 and was named on the first "100 Buckeyes you should know" list by Ohio State’s alumni association. He received the CFAES Distinguished Alumni Award in 2017. In April 2018, the Department of Food Science and Technology gave him the Meritorious Service to Students award. He sees a need for industry leaders to articulate the science and combat what he describes as “a lot of pseudoscience and urban mythology” regarding biogenetic products. College students need to develop the critical thinking skills and gain experience beyond the classroom to promote science, he said. “Whether it is landscape, lawn care or farming, everyone’s a critic. These evangelistic speakers write books and go on lecture tours and talk about how bad U.S. Agriculture is from genetically modified perspective. They are doing a huge disservice. Most of these critics have never produced one calorie of nutrition for anyone,” he said. Hildebolt has co-written a book of his own, with Arts & Sciences alum Bonnie Bajorek Daneker. It’s In There!® is based on his experience in the product development department at Campbell Soup Company; Hildebolt teamed with Daneker to create this part-memoir, part-product history of the iconic brand found today in kitchens around the world. Proceeds from book sales will support student scholarships. The book is available to purchase from OSU Press and Amazon.